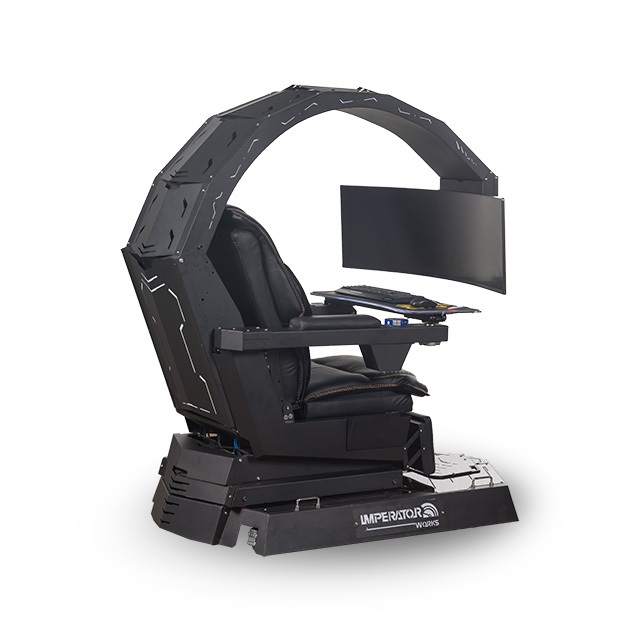 The chair comes with single monitor bracket and standard triple monitor bracket that can holds up to 3x32"(most models). Easy to mount with monitors with VESA mounting configurations 75 x 75, 100 x 100. 32:9 single ultra-wide curved monitor up to 49"(Samsung CHG90). 21:9 single ultra-wide monitor up to 38". 16:9 single monitor up to 32". 16:9 Triple monitors up to 3x28" . 1x34" 21:9 monitor with 2x27 16:9 monitor portrait. 16:9 Double monitors 2x28" (custom bracket). Monitor Weight: Up to 53lbs / 24kg in total. 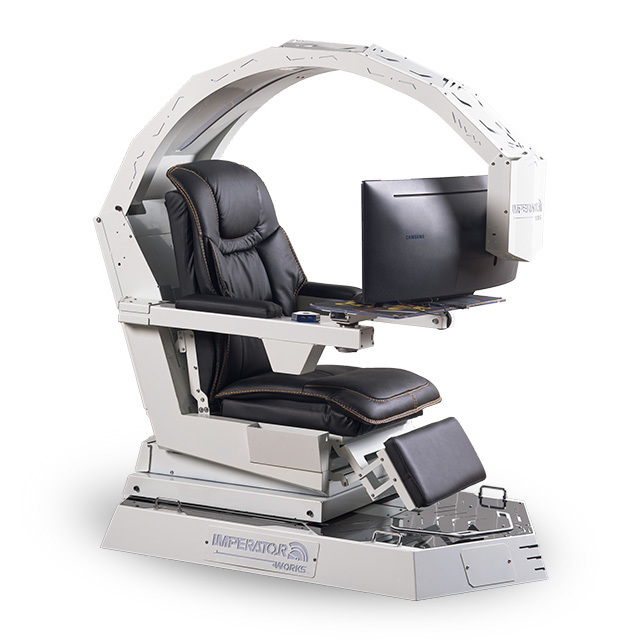 One click for adjusting to Sit-Zero gravity position, Switch work and leisure by mind. FOOT PEDEL can rise and descend. Suitable and adjustable for people with different height. 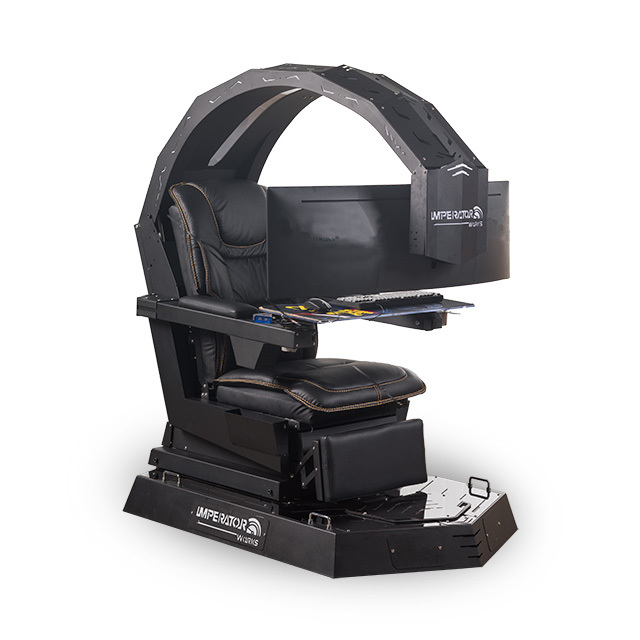 First layer cowhide leather black color with excellent seating experience. Massage function. Easily place PC case inside the base. 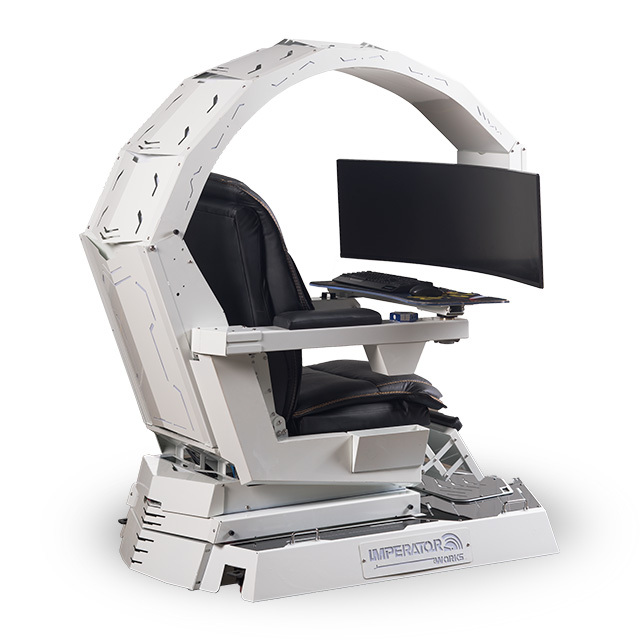 Moving the cockpit never been so easy! Cup Holders and Ashtray - for drinking beverage / beer / coffee to relax and refresh.